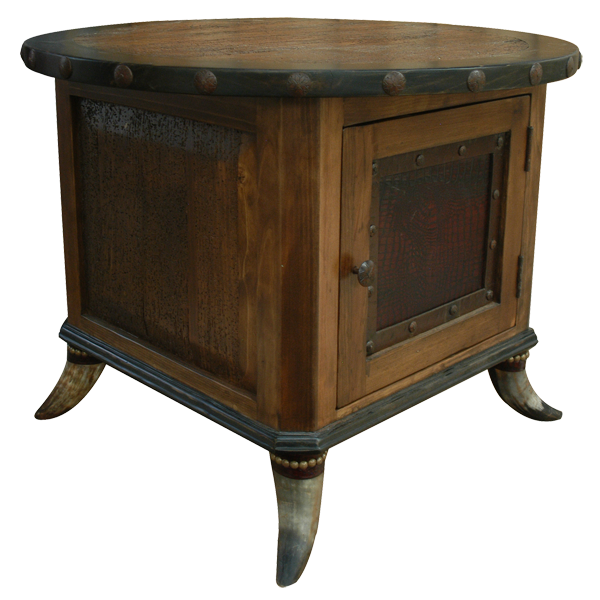 With its Western details, this handcrafted end table is essential to your Western décor. 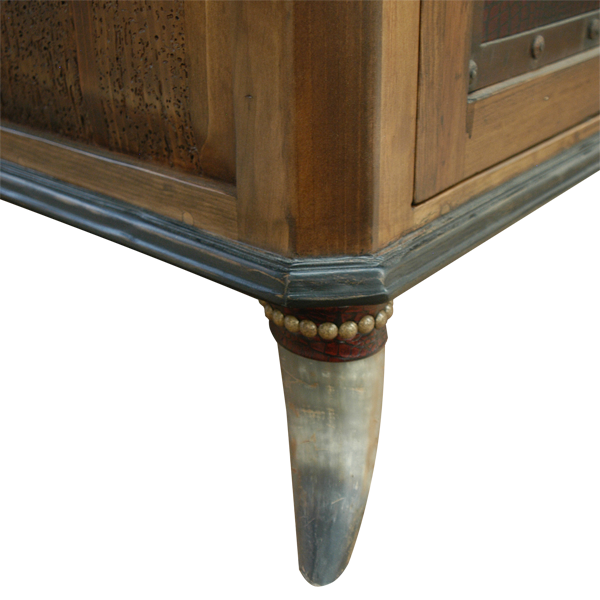 The end table is supported by four, sturdy, inverted, steer horn feet, and the feet are secured by gilt nails. Its open, round top has a dark finish, and it is embellished with hand forged, iron nails placed intermittently on its rim. 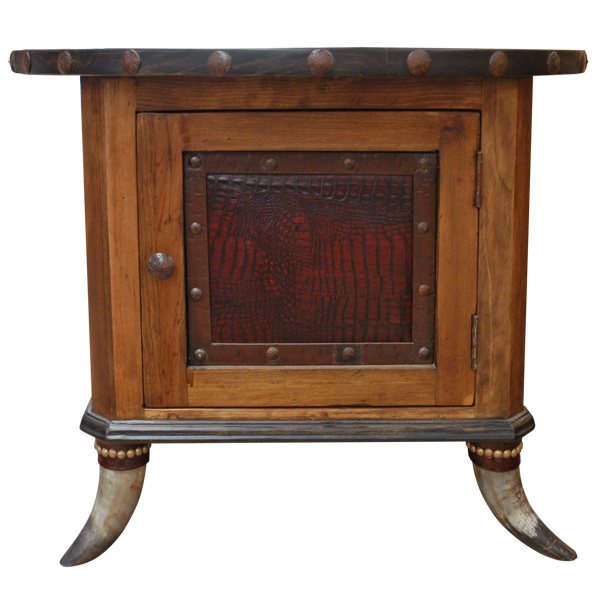 The finish on the cabinet door matches the dark finish of the top of the end table, and the cabinet door is bordered with hand forged iron, adorned with hand forged iron nails. Additionally, the cabinet door has a hand forged, iron pull handle. For extra storage space, the end table has a spacious, open, inside area, and it has decorative, wood side panels. Made with the best, sustainable, solid wood available, it is 100% customizable.